If I were to live in a different era, it would definitely be the 60s. I love everything about it... mod, babydoll, Edie Sedgwick, Twiggy, etc. Today's look is my modern take on the Carnaby girl, with a little bit of an edge! I am wearing a lovely colorblock swing dress with a halterneck design and an awesome pair of booties with suede and croc details, both from Missguided. 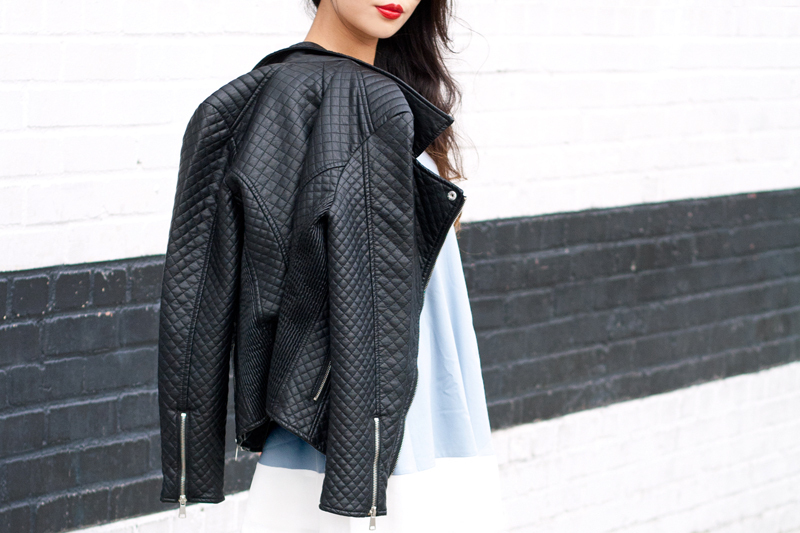 I finish the look with this amazing quilted leather jacket from F21 to kick things up a notch! On a different note, I was so excited when I stumbled upon this striped wall up in Oakland. It just makes everything even better, don't you think? Colorblock swing dress c/o Missguided. 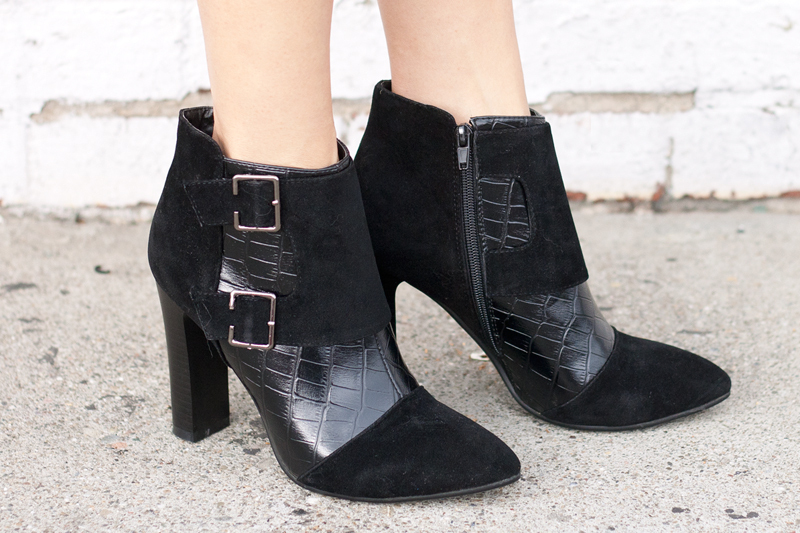 Suede and croc ankle boots c/o Missguided. Quilted leather jacket from F21. Cow hide clutch c/o Primecut. Silver reck top ring c/o LZZR Jewelry. Silver bands c/o LZZR Jewelry. Love the boots and the clutch a lot!